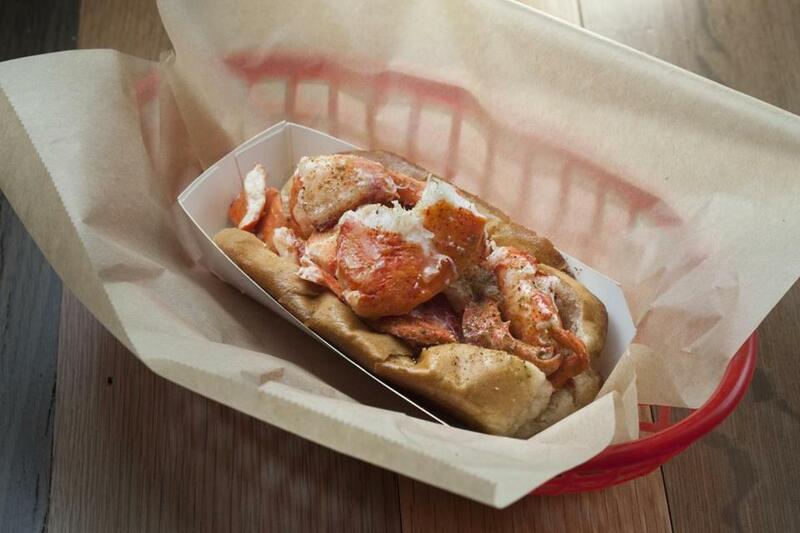 Where to Luke’s Lobster in Back Bay. What for Fresh lobster rolls, crab rolls, shrimp rolls, and clam chowder. What you’re eating Traceable, sustainable seafood, a motto emblazoned on Luke’s windows — origins of each catch are scrawled on chalkboards throughout the dining room. The counter-service menu is compact. A lobster roll (above; $16) comes with a quarter-pound of meat, judiciously dabbed with mayo, stuffed inside a toasted, buttered bun. There are also crab rolls ($13) and shrimp rolls ($8); add a drink, coleslaw or chips, and a pickle for $3. Heartier appetites might opt for the Taste of Maine ($23), a half-order of each roll plus sides, or Noah’s Ark ($44), an even heftier portion. There are also soups of the day, Jonah crab claws, and a grilled cheese. For dessert, grab a sea salt chocolate chip cookie, made by the South End Buttery. Care for a drink? Visit the cooler for Maine Root soda ($3) or free filtered water. Overheard Canoodling couples, braying businesspeople, and grooming gripes. A woman feeds her mate bits of meaty lobster. “I’m in a very healthy mood, and I feel like I’ve known you, continuously, for a very long time,” she purrs, licking her fingers. “I don’t just need a doctor. I need an uber-doctor!” an enraged woman in shoulder pads screams into her phone. Two slick dudes amble in with a perky young woman. “Hey! She’s never had lobster before! She doesn’t know what it’ll smell like!” they announce while she giggles. “I think it smells wonderful,” she finally says. “Another summer gone, and my cuticles have been stripped raw,” a short-shorted man moans to a friend. 75 Exeter St., Back Bay, Boston, 857-350-4626, www.lukeslobster.com. Kara Baskin can be reached at kcbaskin@gmail.com.